“Fake Carrier” is one of the new tweaks or you can say apps for the jailbroken iPhones. The name speaks for itself; it lets you fake or simple change the name of your phone carrier to be anything you want. Replace the old boring name of your carrier with something personalized and exciting. One of the new amazing features in iPod touch 4G is that it has a camera on its front and also in its back. With the back camera you can record HD videos but still the quality of the pictures with this camera is not that good. But we knew that jailbreak community would come up with a solution for better quality pictures with iPod touch 4G. Well if you have checked out the latest Xbox gaming sensor Kinect then you would know that this provides the most amazing way to play games and gives you a feel of being inside the gaming world.So, today Micsoft has announced that they have sold more then 2.5 million units of Kinect for Xbox 360 and this happened just within a months , to be accurate they did that in just 25 days. Loren Brichter first implemented the popular “pull to refresh” functionality in Tweetie 2 for iPhone, since then lots of others have been inspired to create similar stuff. It was used for twitter as well as facebook. Posted in Apple | Comments Off on Jailbreak app: “Pull to refresh” your mail. So the iPhone dev team finally released the update version for Ultrasnow. For those of you who don’t know, ultrasnow 1.2 is a free carrier unlock for iPhone3G/3GS with a baseband later than 05.13.04. The unlock for the baseband prior to 05.14 was exploited the AT+XAPP command, thanks to a crash initially discovered by @sherif_hashim (@Oranav also found this crash). Guys we know that we are not far away from next iPad and may be Apple may reveal it in the early part of next.We can guess that next iPad would have some new stuff like camera and gyroscope but still we are not sure what new stuff would be in the iPad.Today a report by DigiTimes has mentioned claimed from a Chineses Economy Daily News which claimes that next iPad will have five new features. The newspaper cites industry sources for the information. Talk about fast work, Apple released the final build of iOS 4.2.1 for all iOS devices on 22nd November and a day is all it took for iPhone Dev Team to jailbreak it. They have just announced redsn0w 0.9.6b4 which jailbreaks iOS 4.2.1 on iPhone 4, iPhone 3GS, iPad & iPod touch 4G. The iPhone 3G and 3GS user are waiting for the unlock of iOS 4.2.1 and look like they will have it soon.One of the most eminent members of Iphone dev team MuscleNerd has confirmed that the new iOS 4.2.1 for iPhone 3GS and 3G can be unlocked and the unlock will be released on Sunday that is today. His tweets confirm that the unlock ultrasnow is fully working on iOS 4.2.1. LG Korean mobile manufacturing company becomes benchmark in introducing dual sim mobile phone in the dual SIM handsets phone market. 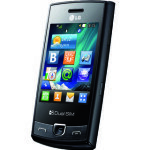 P520 lg dual sim phone announced in Russia comes with the special feature that lg p520 is the first handset that comes with touch screen feature and also supports Quad band GSM support for network connectivity. Acer Iconia is the latest laptop that has been announced by Acer. Iconia is based on Microsoft’s Courier project. 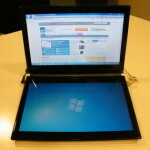 Acer manufactured it with the collaboration of Microsoft. The stylish and modish Laptop Iconia is featured with dual touch screen , two 14-inch capacitive touchscreens and this is the feature that made is distinctive from other laptop of current era.